Ted Kang’s Kylin Management, revealed in a couple of filings that it has added 21Vianet Group Inc (NASDAQ:VNET) to its equity portfolio and boosted position in NQ Mobile Inc (ADR)(NYSE:NQ). Kylin Management, has initiated a nearly 15 million share position in 21Vianet Group Inc (NASDAQ:VNET). The holding is 5.2 percent of 21Vianet ‘s Class A ordinary shares. 21Vianet Group Inc (NASDAQ:VNET) is a holding company, and provides carrier-neutral Internet data center service in the People’s Republic of China. Joho Capital, managed by Robert Karr is another hedge fund bullish on 21Vianet Group, wherein it has 2.15 million shares, with a reported value of $35.45 million. Another hedge fund SCGE Management, led by Christopher Lyle, has 2.09 million shares worth $34.38 million in its equity portfolio. Chris Lyle’s fund initiated the position in 21Vianet in the third quarter of September 2013. Glen Kacher’s Light Street Capital has invested 3.94% of its equity portfolio in 21Vianet Group Inc (NASDAQ:VNET), holding 760,000 shares. Another hedge fund CR Intrinsic Investors, an SAC Subsidiary, is also bullish on the stock and has 399,844 shares in its equity portfolio. The position was initiated in the third quarter of 2013. According to another filing Kylin Management has been bullish on NQ Mobile Inc (ADR)(NYSE:NQ), upping its position to 9.57 million shares, from 346,500 shares held earlier. The stake amasses 6.2% of the common stock. Another hedge fund which is bullish on NQ Mobile Inc (ADR)(NYSE:NQ), is Altimeter Capital Management, led by Brad Gerstner, which raised its stake to 21.47 million shares from 18.47 million shares, earlier this month. 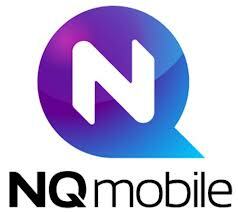 A couple of months ago Longbow Securities revealed of its 8.04% stake in NQ Mobile Inc (ADR)(NYSE:NQ), which was then disposed off in the next couple of days. Of the hedge funds we track, CR Intrinsic Investors, a subsidiary of SAC Capital, has 616,455 shares of NQ Mobile Inc (ADR)(NYSE:NQ), with a reported value of $13.43 million in its equity portfolio. SAC Capital Advisors, managed by Steven Cohen, owns 564,841 shares, worth $12.31 million. Espalier Global Management, run by Wojciech Uzdelewicz, is another hedge fund which amasses 482,800 shares of NQ Mobile. On the first spot in Kylin Management’s equity portfolio is Qihoo 360 Technology Co Ltd (NYSE:QIHU), wherein the fund has purchased 2.87 million shares. Melco Crown Entertainment Ltd (ADR) (NASDAQ:MPEL) is the fund’s second largest position. The third spot belongs to YY Inc (ADR) (NASDAQ:YY), representing 7.93% of Kylin’s equity portfolio, with 627,800 shares.